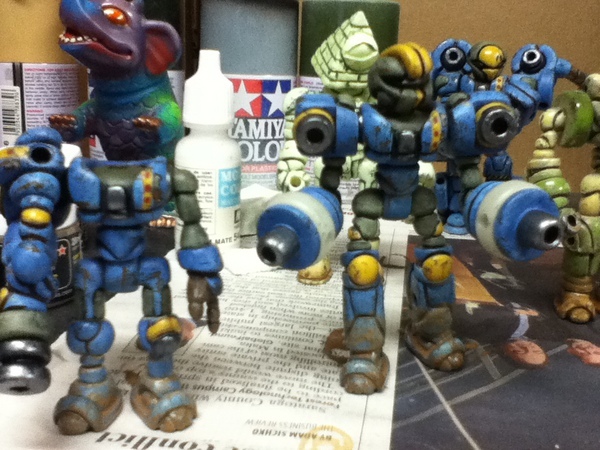 The Glyaxia Special Forces Blue Squad I have been posting WIPs of is all done! Above is a shot of the finished group, and after the jump is the last of the WIP shots. 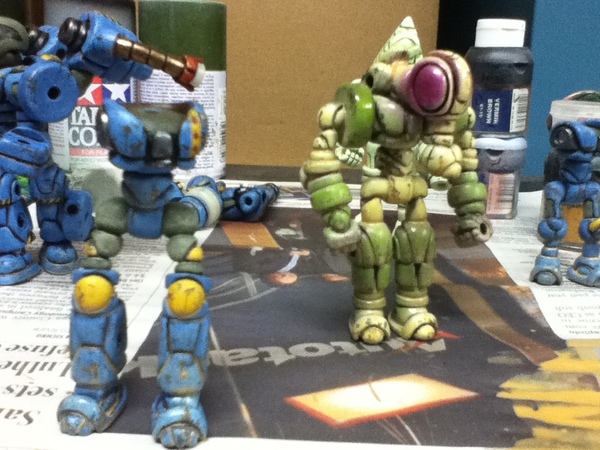 The figures were all shaded and detailed, so the last step was weathering. First thing: chipping! Magic happens and, while it’s tough to make out here, chipping occurs! Then on to weathering using a battery of different tricks. 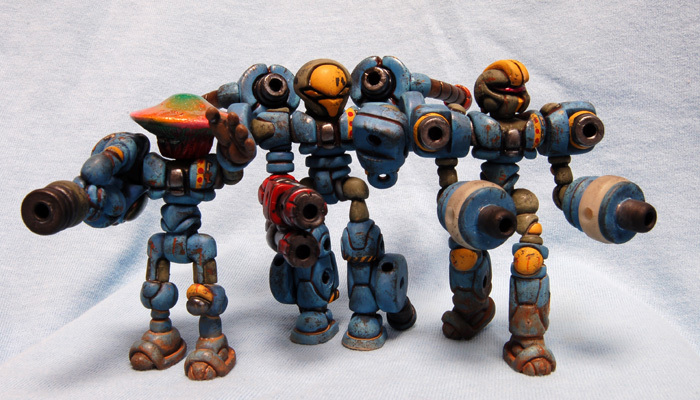 One important thing to remember when weathering is that it’s a process. Layering weathering gives the figure more history and adds depth. 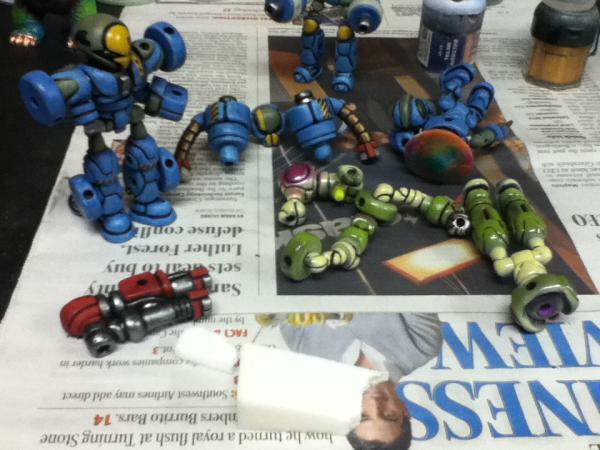 The most agonizing part is waiting for the weathering to dry. That’s it! 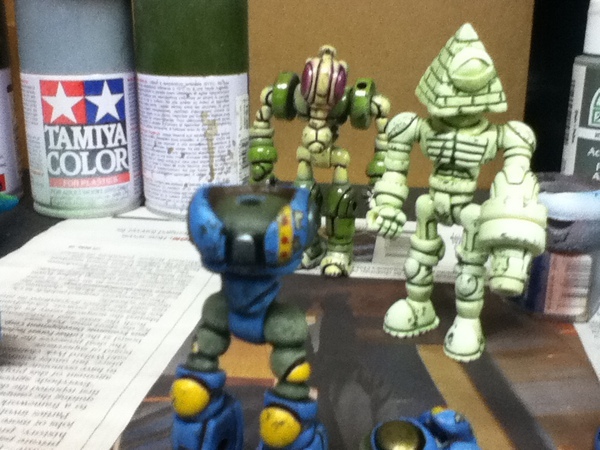 The figures were then gloss coated for protection, and the armor was all matte coated, and then eyes were done using MK. Full spreads of each figure to come.